frankly my dear...: February Photo a day Challenge. 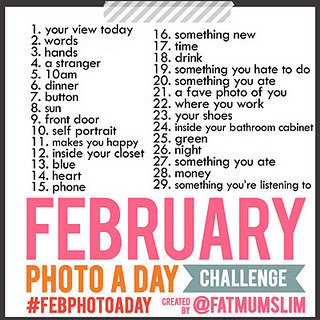 February Photo a day Challenge. Hi Malea....thanks so much for popping by my blog. Just wanted to say that you are the recipient of the Leibster award ...check out my blog for details. What i am doing..........in February.